We are offering Magnesite Ramming Mass to our clients. We are renowned organizations of market for presenting the optimum quality range of Magnesite Ramming Mass. Our company is most trusted companies in providing Magnesite Ramming Mass to the clients. 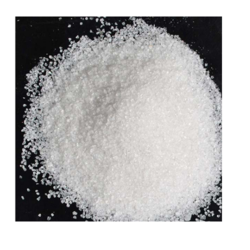 This product is widely used in patching in steel furnaces to raise the performance and for self-balancing metallurgical control. This product is processed under the supervision of experienced professionals using high quality material. 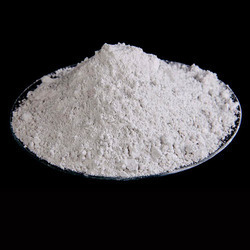 Being the reputed names in the industry, we offer wide array of Magnesite Ramming Mass that are acclaimed for high quality and durable finishing standards. Our entire product range is abrasion resistant in nature and is chemically balanced. We offer them in varied dimensions and are able to meet the individual requirements in well-defined time. This is a magnesite based ramming mass for Medium / High frequency induction furnace. We offer Ramming Mass that has excellent all round fastness heat properties. We have various grades of Ramming Mass for specific applications used in the lining of induction furnaces to prevent from Anti Coating, Corrosion & Erosion Resistant, like Magnesite & Basic Ramming Mass. Ramming Mass is basically burnt magnesite. Some chemicals are mixed with dead magnesite to form ramming mass. Before it is packed, the ramming mass we manufacture is tested thoroughly. This ramming mass and silica ramming mass are supplied in their purest form by us. The quality of our products set us apart amongst distinguished acidic Ramming Mass Manufacturers in India. Suitable for Ramming of Electric Arc Furnaces of various capacities and also as a repair material with quick thermosetting propeties. This is also suitable for Ultra High Power (UHP), EBT (Eccentric Bottom Tapping) furnaces.